← Don’t let your gingerbread men leave home naked.. I know that pumpkin is everywhere this time of year, and frankly, I’m fine with that. The recipe is very easy, and you likely have all of the ingredients on hand now. I brushed the pan with melted butter and used a zip top bag with a hole in one corner as a pastry bag to pipe the batter into the pan. 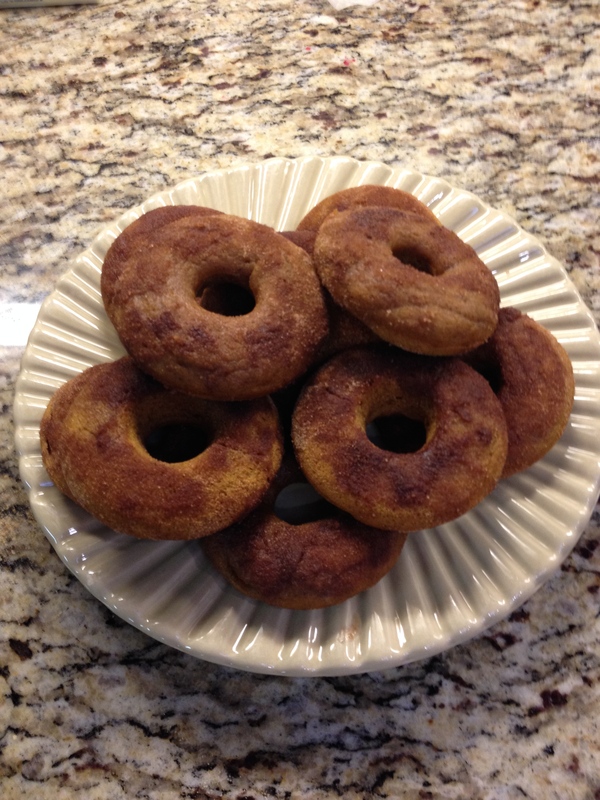 I got 11 donuts out of the recipe. They turned out light and really good. The batter tasted a bit like flour, but the finished product was yummy. Check out the recipe at the Blue Eyed Bakers. Here are my photos taken with my old phone. The photos on the Blue Eyed Bakers site are much prettier, and make my mouth water. 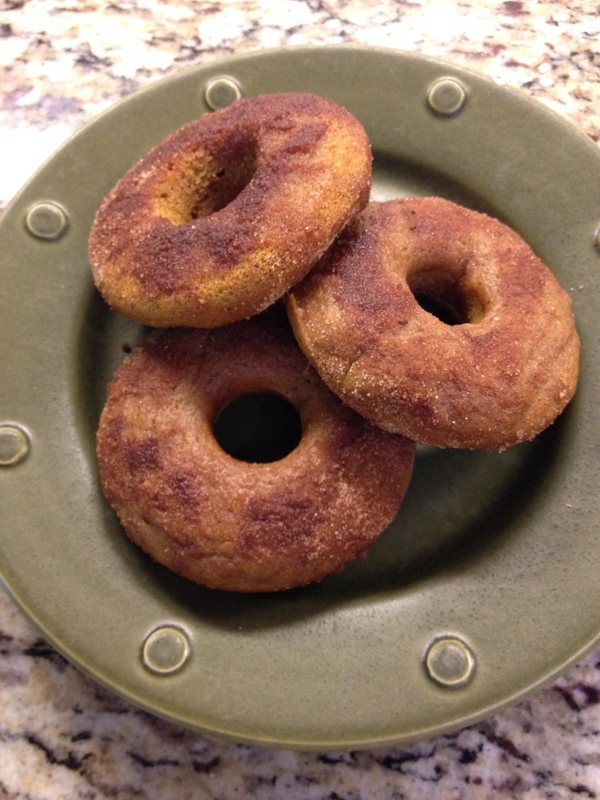 Posted in baking, Cinnamon, pumpkin, references, recipes and tagged Blue Eyed Bakers, donuts, homemade donuts, pumpkin spice, pumpkin spice donuts. Bookmark the permalink. Help!!!! I can’t find contact info anywhere. I had pinned your fabulous recipe for the PB Kiss cookies from Feb 2012 and now the page isn’t available. Any chance you could email me the recipe? We made one batch last month and ate them all thinking I could just make more . . .
Hi, I had taken the post down due to 2 unfavorable reviews, but I tested the recipe and it works well for me, so I put it back up, sorry for the confusion, and THANK YOU for reading my blog!